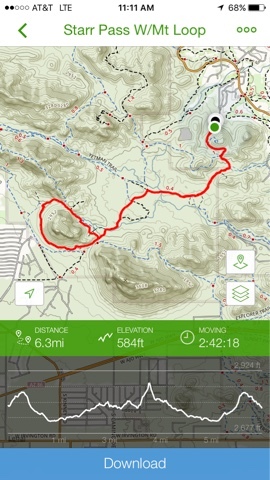 Since I took Saturday off from hiking, I jumped right back in with a conditioning hike on Sunday Hiking Start Pass with the added loop around a mountain. 6.3 miles at just under 600 feet total elevation gain was just the hike I needed to stay ready for my impending backcountry hike now that I know I can successfully do the 2000 foot elevation gain. 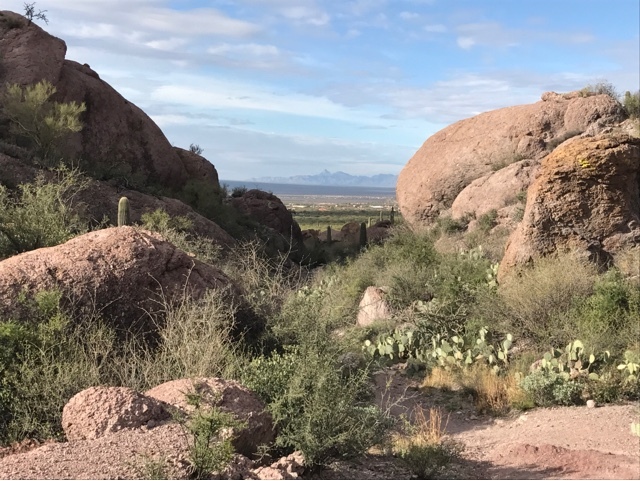 Starr Pass is a lovely place to the west side of Tucson. In the picture above you can see the notch between the mountains. This is the pass to the other side. Here is an up close picture of the pass and the vast expanse beyond. The day had many morning clouds. 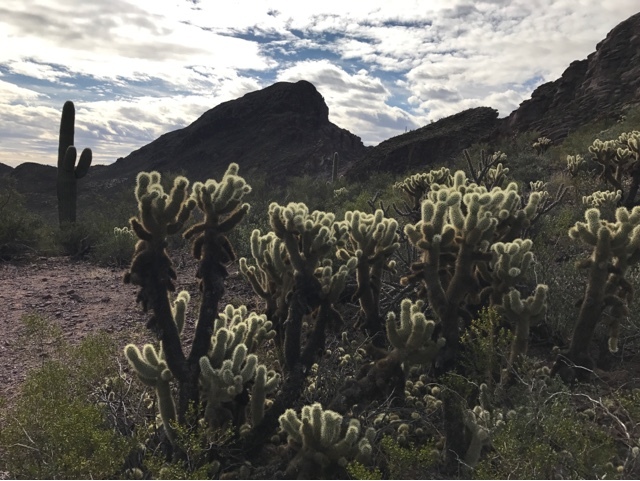 This picture is interesting with the mountains I've walked around and the cactus ends shining in the light. 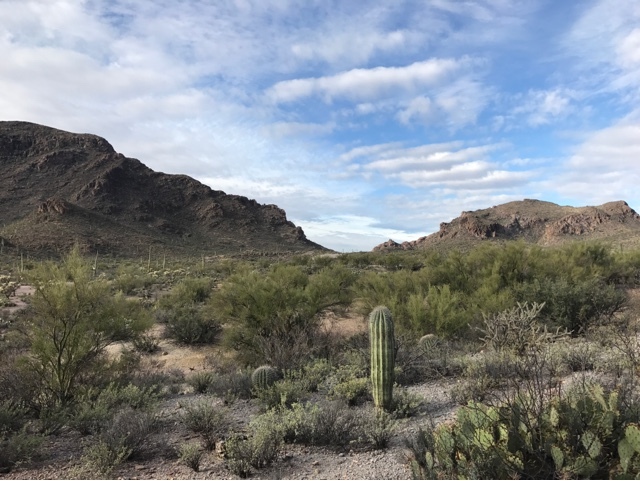 The desert is starting to bloom with spring flowers. This was a morning hike taking about 3 hours, leaving the afternoon for a visit to an afternoon movie. 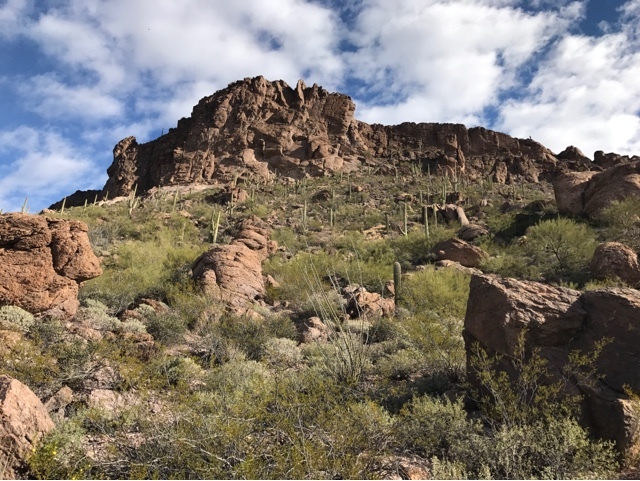 It is the fact that there are any number of hikes around Tucson of all different difficulties and distances that makes Tucson my preference for a place to spend time in the winter.